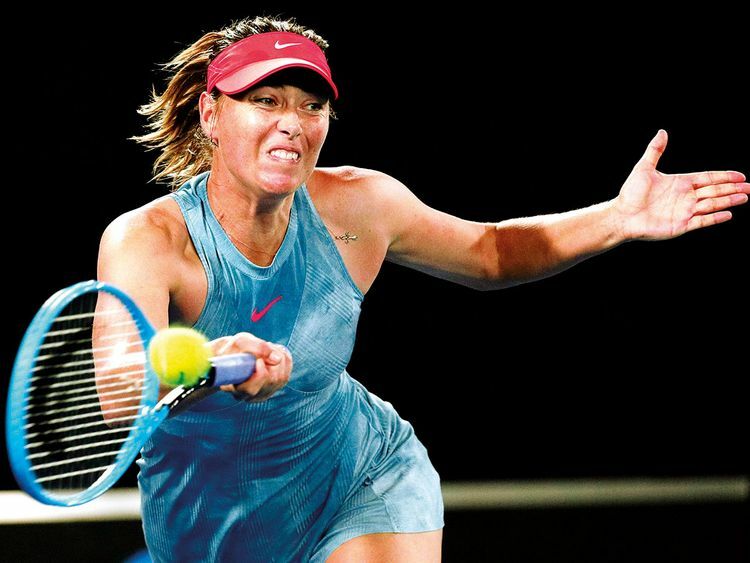 Melbourne: Maria Sharapova stunned defending champion Caroline Wozniacki to sweep into the Australian Open last 16 Friday and join ice men Rafael Nadal and Roger Federer, who clinically disposed of their opponents. Next up for him is fiery Greek 14th seed Stefanos Tsitsipas, who beat Georgia’s 19th seed Nikoloz Basilashvili 6-3, 3-6, 7-6, 6-4. Germany’s second seed Angelique Kerber, the 2016 title holder, takes on Australian youngster Kimberley Birrell later. The 17-year-old, who models herself on Sharapova, will play eighth seed Petra Kvitova for a place in the quarter-finals. Russia’s Anastasia Pavlyuchenkova also advanced, crushing Aliaksandra Sasnovich 6-0, 6-3 for a last 16 showdown with fifth seed Sloane Stephens, who beat Petra Martic in straight sets. Marin Cilic overcame a pair of match points — including one double-faulted away by Fernando Verdasco — and a two-set deficit for a 4-6, 3-6, 6-1, 7-6, 6-3 victory. The No. 6-seeded Cilic, last year’s runner-up and the 2014 US Open champion, saved a match point at 7-6 in the fourth-set tiebreaker with a service winner, then watched as Verdasco gave away another chance to win at 8-7 by failing to put a serve in play. Cilic then grabbed a 3-0 lead in the fifth set and held on to complete the comeback. It’s the seventh time in Cilic’s career that he has won a match after dropping the opening two sets. He also did it in the third round of the previous Grand Slam tournament — against Alex de Minaur at the US Open in September.